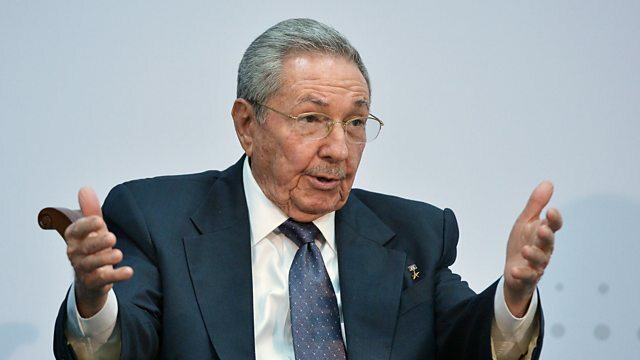 Cuba's National Assembly is meeting to choose a successor to president Raul Castro. Cuba's National Assembly is meeting to choose a successor to president Raul Castro. We find out about the country's economic prospects from BBC Havana correspondent, Will Grant. Also in the programme, following yesterday's engine explosion and emergency landing of a Southwest Airlines jet, Chris Jasper, aviation expert at Bloomberg News in London, tells us what is known about the cause. The sandwich chain Pret A Manger has seen some of its adverts banned over a claim that its products are natural, despite containing some artificial additives. Kath Dalmeny, chief executive of food and farming charity Sustain, which brought the complaint, gives us her reaction. The BBC's business editor, Simon Jack, offers us his thoughts on European regulation, as part of a series of pieces in the run-up to Brexit. Plus, the first cinema in Saudi Arabia since a ban was lifted last year opens today. We find out more from Adam Aron, chief executive of AMC Theatre, which is the company behind the venture.